So, you've got the costume but without the right accessories, even the cutest spooky ensemble isn't going to look quite right! If your little one is posing in her witch wear for that "no filter needed" adorable photo then you'll need to make sure that all your stocking needs are covered. Those white tights are cute but they simply won't work when the look your conjurer is going for leans closer to creepy than cute. These ripped tights go with a number of different child's costumes, which makes it super easy for costume changes if you and your kiddo so choose. 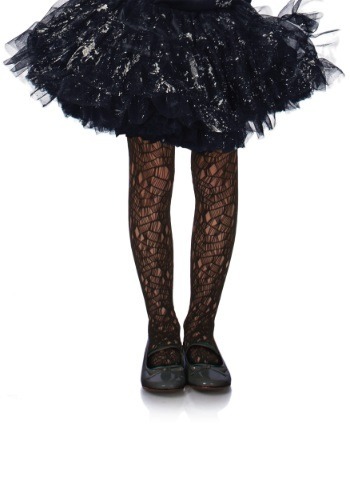 Switch it up and you'll see that the tights compliment a doll, vampire, witch, or bat costume. Plus, that'll add a little warmth while you're little one is hopping from house to house on that chilly Halloween night! If she's really in the Hallows Eve spirit, she might even want to wear these tights all October!